I’d never seen tears shoot straight out of someone’s face. But that changed a few weeks ago. It had only been the week before when my doctor had dropped the C word on me. A routine checkup led to the discovery of a lump on my throat, which led to an ultrasound, which led to a biopsy, which led to the life-altering pronouncement: we found some cancer. Papillary thyroid cancer to be exact. Over the past month my emotions have been on a roller coaster. Not the mega-thrill-ride variety, but more like the community carnival type: nothing completely overwhelming, but still enough to bring about a noticeable increase of anxiety (just ask my wife and kids!). My variety of thyroid cancer is highly treatable, with an excellent prognosis for the future. But it’s still life changing. I’ve come to discover that the thyroid gland is a completely necessary piece of equipment, controlling the body’s energy and metabolism levels. It impacts nearly everything, from sleep and weight to the ability to concentrate. To compensate for the thyroid removal, I’ll take a hormone replacement pill every day for the rest of my life. While all this information has taken my emotions for a ride, there have been two other C words that have more positively impacted me and deepened my experiences over these past weeks. As immediately shown by family and my tear-shooting friend, many have expressed genuine care and love for me. They have been a healing force, letting me know that I’m not alone. The phone calls, texts, emails, and face-to-face conversations have all been significant in evening out the low spots of my emotional roller coaster. Three conversations in particular have helped to encourage me (literally putting courage back into me). These have been with others who’ve had similar diagnosis and surgeries, and who came to me to share their stories and to let me know I’m going to make it through this. Thank you! Other friends have prayed over me or sent me scriptures. Craig sent me this great promise from the first verses of Isaiah 43. And Dennis, a friend who is recovering from his own cancer surgery, sent me this prayer that’s been deeply meaningful to him on his journey. O God, the source of all health: So fill my heart with faith in your love, that with calm expectancy I may make room for your power to possess me, and gracefully accept your healing, through Jesus Christ our Lord. Amen. This concept of “making room” for God’s work has become important in my own story as well. So many things want to crowd out what God is up to in my life — especially this final C word. The one thing this cancer diagnosis has forced me to deal with more than any other: I’m a control freak. The thought of “losing control” of my energy levels has been jarring to my psyche. I don’t want a pill to be in control. I want to be in control of my life! Can any other control freaks relate? But what I’ve been settling into is the truth that I’ve never fully been in control anyway. Sure, God allows each of us to shape much of our environment by the choices we make (including our relationship with him). But ultimately he is in control — and that is a good thing. Not only is God in control, but he sees the big picture and his faithfulness and kindness toward us is complete. He is fully worthy of our trust no matter what we’re going through. So, I’ve made the choice to view my pills as daily reminders that God is in control — not cancer, medication, or any other circumstance. I’m placing my life once again in his very capable and loving hands. I hope you’ll join me there. A lot more life ahead. Wow! I’m so sorry that you have to go through this, but also know that God is faithful and uses these experiences to perfect us. GREAT POST. I’ll be praying for you! Thanks for your prayers, Jeff! Wow. Thank you for being vulnerable. Hope is awesome. So is honesty . I am grateful to you.. And of course, praying. Hugs. Brook, thanks for the note — and I agree, HOPE IS AWESOME (and contagious!). Thanks for sharing this, Tim. Not just from the point of vulnerability, but so that many of us who love you and your family can pray with you. I so appreciate that, Garris. Your transparent leadership has modeled that for me. The Penberthy’s stand with you in prayer and trust God for the miraculous! Thanks, family! I am blessed. The Feskos have stood where you stand, fought what you fight, and been found victorious in Jesus. Here’s to another win for Jesus. Here’s to another loss for cancer. He who has started a good work in you WILL be faithful to complete/perfect it. Count on it bro. Ryan, like never before, I’ve found courage in the stories of others. Thanks for sharing yours. I am praying for you. I have always respected and admired you and that only increases as I read your words. May the grace of the Lord continue to abound in fullness to you. Thanks your friendship, Isaac! Sure appreciate you. I admire the journey of fellow Christ followers as they wrestle through ups and downs. Tim’s perspective is helpful. Isaac, thanks for sharing my story with others. Hope is contagious! The Feskos have stood where you stand, fought what you fight, and were victorious thanks to Jesus. 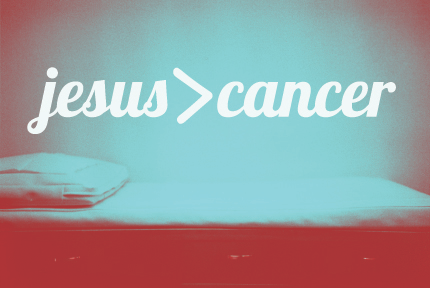 Here’s to another win for Jesus and another big loss for cancer. He who started a good work in you WILL be faithful to complete/perfect it. Count on it bro. We’re praying. Been through this c word the past year and totally understand and praying for you. I can tell you on the back side of this, it is truly amazing how God guides you through this. Praying. Christina…I’d recently come across your story and have been praying for you as well! Glad God’s grace is sufficient for us both. Appreciate you. Tim, it will all turn for good! God has the number of your days already decided. And He works all things for your good. He knows the plans He has for you, to prosper and not to harm you. Jim and I will pray for your well being, The Hayford’s in WA. Thanks so much, Betsy! God IS good…and your prayers are appreciated. Thanks for the note and prayers! He is our healer! Thanks, Ed! I appreciate you and Irene and your prayers from New Jersey! Praying for you and your family Tim. The Lord will walk beside you and your family the whole way. I see a picture of him holding your hand as he walks beside you. Love you and your family a ton! Cherie…I’ll hold on to that picture! So appreciate you. Tim, I will be praying for you as you go through this journey. I know God is able to do exceedingly above all that we can ask or even imagine. He who has begun a good work in you will bring it to completion. My prayers for you will be for healing and health. I will pray for you as you go through your surgery. thanks for letting the need be made known so those who care about you can pray. Blessings my friend! Ron…that means the world to me. Thanks for your prayers. It’s been a healing thing to share my story…so that others can find hope as well. I will be praying for you and yours Tim! Wow, Leslie…thanks for the note and the warm hugs! Much love to you. My story is too long to comment on here except to say what God said to Gideon. When Gideon was concerned about his situation, God told him to “Go in the strength that you have.” and let Me make up for anything you lack. God’s grace is sufficient for the day. I will be praying for you, dear brother. All is well. Wow…fantastic reminder, Chris! Thanks for that word of encouragement…I’m holding on to it. Tim, you are loved my friend. Thanks, Ben! You’re loved as well. Great word, Alex. I appreciate you! Praying for you, my friend! Thank you for sharing – and know that you are loved and valuable! Appreciate you, Mike! Thanks for standing with us. I’m so blessed by you and Laurie! Thanks for the encouragement and prayers! That’s so true, Kristi! Thanks for those amazing reminders. Praying for you Tim and the whole Mossholder family, as I know it affects you all. To the Lord who heals us, “Please bring quick and COMPLETE healing Lord to this amazing man of God and mentor to myself and so many others. And Lord restore his energy and give him all the strength he needs to continue in the work you have set before him.” AMEN! Chris…thanks for lifting up our whole family before our Healer! You are loved. Tim, You are in the Dorthalina’s prayers. He is faithful and so good to us! As you have taught so many over the years with the Word and your own life examples, here you are continuing to teach even through this life event. May God bless you and your precious family. That means a ton to me, Christine. Thanks for your love and prayers. So appreciated. Thank you for sharing, Tim. Often our greatest ministry isn’t in how we respond to the high points of life but how we respond in the low points. Sure seems like you are off to a great start. You will be in our prayers and please let me know if my family can help in any way. Thank you, Larry. So grateful for your words and prayer. I’m sorry to hear what you’re going through, I will be praying for you. Thanks so much, Theresa! Appreciate you. I agree with all those praying for you Tim! God’s perfect healing over you accompanied by HIS peace, comfort and presence to all of you (Kelly and Kids too) I have intercessory prayer Wed. morning – will make sure all is covered on surgery day. Reg and I Love you friend! That’s awesome, Marie! Thanks for the prayer and the love. You are a blessing to us and the church family. I am praying for you to have peace tonight. Cancer has tempted me to be fearful in the past, but over and over I see how God makes beauty from what I see as ashes. May God bless you and keep you safe. So true, Lovena! God makes beautiful things out of dust! I appreciate you and your family. I pray for peace and health for you and your family. You mean more than you know to me. Tom! I am in full agreement with you…and it’s an honor to be your friend. You are loved. Glad we get to share life (even at a distance) together. Whoa Tim, as I try to type thru watery eyes I am also touched by the love and prayer already shared by many many people who like us love you and your family so much. Your blog has been a help for me, and this posting is no different. Thank you for being so transparent. I believe that C word is also compassion and control. Tim Mossholder you are so loved and ‘covered’. Ed and I stand with you and Kelly and your family. Chris…thanks so much. Your tender kindness is water to my soul. Thanks for standing with us! Thank you so opening up and sharing with us what you are going through. 2 years ago I was diagnosed with the same thing and it was surreal. To tell people you have cancer is very surreal. But as of today I am cancer free and feel so much better after having the surgery. My energy levels are back to normal and I feel like my old self again. I know this will be a great thing for you! You have so many people who love and are praying for you which is wonderful! Hang in there. We love you and are continuing our prayers for you! Kristin…thanks for your words. Each person’s story is unique and adds to the bigger picture I’m a part of. I appreciate your prayers! Tim, I was shocked to see this on fb, since in my mind so many of those I respect and honor just are NOT supposed to get cancer. I am a nurse and hearing the “C” word is still hard. One of the best healing’s for your soul is talking with people who have gone through this and I see you have. I fully believe that God has allowed this in your life to help you reach out to others that were…maybe…beyond your grasp before, but now are right in the middle of your circle now. I have traveled this road with many as a helper, and the richness of life that I found in the waiting areas is so inspiring. When you attend your appointments, just quietly sit and take in all your surroundings and let the Holy Spirit speak to you. He will reveal amazing things to you. Bless you my friend and brother. You are loved by sooooo many! Kelly…those words are so rich and true. I appreciate them deeply. Thank you for your encouragement to listen. I’ll do my best. Much love to you! Tim. My Friend, my Brother, my Mentor, my Captain. My heart and prayers are with you. Love you bro, talk to you soon. Those words are healing, Tim. And the admonition to rise up and sing…I’m going to do that right now. Love you! I have decided that hearing the “C” word diagnosis is equal to getting a nuke dropped on your life. Lots of crud gets blown up and there is a chance to see what remains. If I have learned anything during my daughter’s surgeries and chemo it’s this….1)God is going to do what God is going to do and I have to wrap myself around Him instead trying to “make” things happen the way I want (as if I could anyways) 2) To humble myself and accept others help even though its uncomfortable. I pray that God will bring you and your family a peace that surpasses all understanding. That any physical scars and reminders of this time will be like an old school testament altar to remind you of God’s love and faithfulness. Love you guys! Desiree…I love the imagery of my scar being an alter of remembrance of what God has done. I’m holding that! The battle is already won..
Wow, Michael…what a powerful and encouraging truth. I’m going to camp on that with you! Hi Tim! Praying for you as you go through this journey! My father-in-law over a year ago was recently diagnosed with multiple myeloma and went through chemotherapy and stem cell transplant but his attitude through the tough and good moments were awesome! He loves the Lord with all his heart and I saw hope, courage, believing in God’s promises for his life no matter what and surrendering day by day his will for God’s will in his life! He is a great example for others who struggle with cancer as I am sure you will and are too! That was a great blog that you wrote and he would agree with everything you said! Lots of prayers and having a great support group of friends and family can do wonders! God bless you and praying for the surgery to go well! So good, Jeniel! It feels good to be part of a tribe of those who’ve gone before me in this. Tim, praying that this journey you and Kelly are on would be full of gracious and loving touches from the Savior. Like your friend, Chris, I type this with much emotion and watery eyes….never expected to read something like this. Know that your Cali friend is joining you in prayer and trust in the Lord that all will be well…My love to you, Kelly and the family. You are so loved by so many….and so blessed!! Lydia…what a blessing to have friends covering us in prayer and love. Thank you! So honored to partner with you guys…and to have you stand with us during these days. Tell Jim: Es tiempo para drogas! I just read this blog without realizing that it was you who was writing. Tears sprang to my eyes also, when I realized that it was you who was writing. Thank you for your transparency, and for sharing your life. I will be praying and expecting a the Lord to do miraculous work. You are much loved. I am sorry to hear this news. I was just reading about Braeden’s need and wishing I lived closer to west LA and then I came across this! I am praying with you. May God soak you with his healing presence in your recovery time. God is good all the time. Tim, stand strong my friend. God is faithful and I’m confident He will be seen strong in this circumstance. Thanks for having the courage to share something so personal. The Kingdom needs you and more like you to model how to journey in grace when your world in jarred in an instant. Praying for tomorrow. Praying for you! So great to see God’s family lift up you, Kelly and the kids. You are greatly loved! Got your update about surgery from HR and was encouraged; praying for you. Was driving into work this morning and the pickup in front of me had a military patch in the window with the motto “nec aspera terrent” – latin for “no fear on earth”. A great motto for the 27th Infantry Regiment, but also a great motto for us as Christians – encouraging you and Kelly to be strong in the Lord and in the power of his might! I just found your blog through a comment you put on mine. I’m so sorry. I lived this: http://edunderwood.com/books/when-god-breaks-your-heart/ If I can help in any way, please let me know.